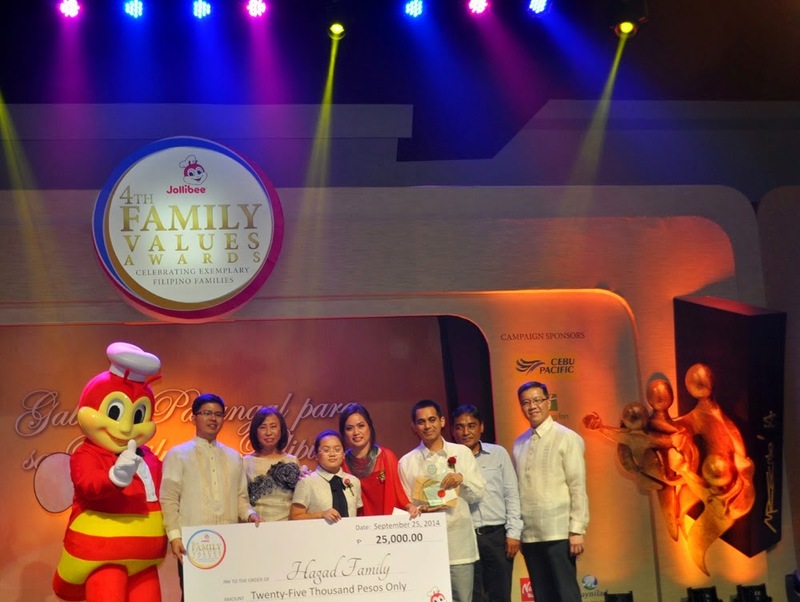 The Philippines’ leading fast-food chain, Jollibee, continues to champion the unparalleled kinship and generosity of the Filipino family as it celebrated the achievements of this year’s Jollibee Family Values Awards (JFVA) winners. 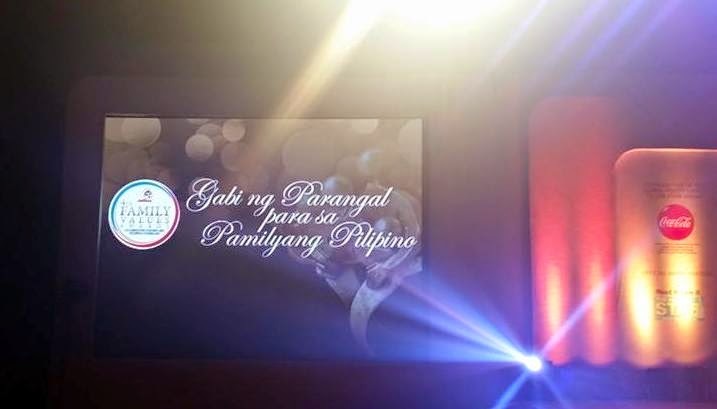 Gabi ng Parangal para sa Pamilyang Pilipino held last September 25 at the Philippine International Convention Center in Pasay City. 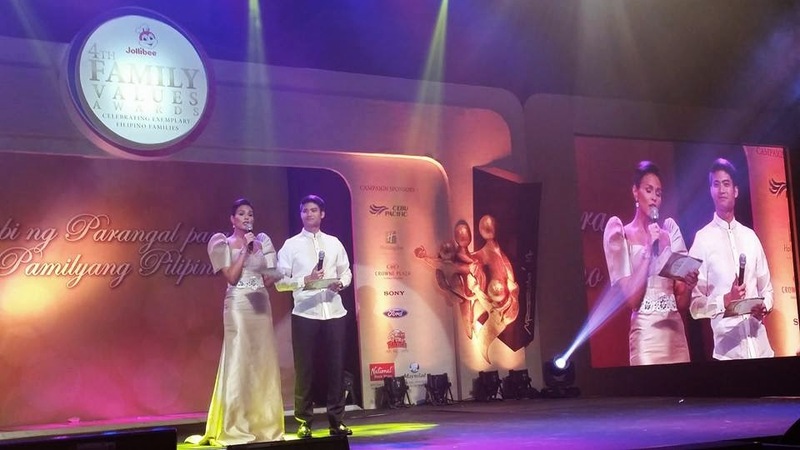 The awards night was hosted by Iza Calzado and Mikael Diaz, and was attended by Jollibee’s top executives led by Jollibee global president Ernesto Tanmantiong. Also, Nikki Gil and Christian Bautista entertained guests by performing some OPM songs. 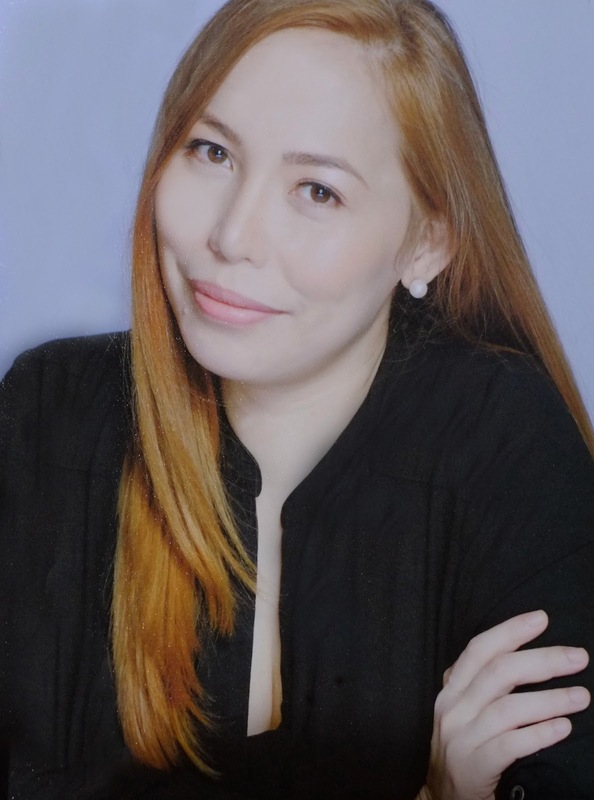 Eight families coming from different parts of Luzon, and other countries such as Singapore and the United States, were feted by the country’s number one fast-food chain for their advocacies that have made a positive impact in their communities. Hailed as this year’s JFVA winners were Mr. Octavio and Mrs. Felicite Jean Gonzales and family of Cubao, Quezon City (support for persons with disabilities); Mr. Harnin Manalaysay and family of Cavite City (education of street kids); Mrs. Rachel Palacio and family of Pandacan, Manila (child and family development trainings); Mr. Nestor and Mrs. Maryann Serrano and family of Taguig (education for out of school youth and juvenile delinquents); Mr. Gilmore and Mrs. Judilyn Solidum and family of Pandacan, Manila (dengue awareness thru publications and storytelling sessions), Mr. Clif and Mrs. Melissa Villa-Wilcox and family of San Jose, California (Project PEARLS program), this year’s recipient of the Jollibee-Coca-Cola Global Pinoy Family of the Year award. 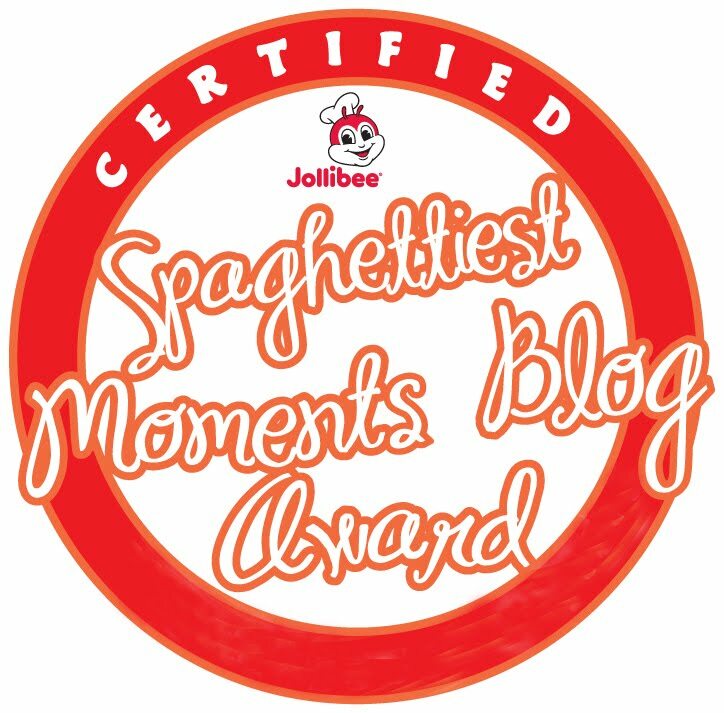 Jollibee also conferred special citations to outstanding families whose advocacies focus on specific fields. Special Citation for Environment (endorsed by Maynilad Water Services, Inc.) – Mr. Eduardo and Mrs. Stela Hagad and family of Singapore; Special Citation for Minority Groups (endorsed by the Kalipunan ng mga Katutubong Mamamayan ng Pilipinas) - Mr. Alvin and Mrs. Rina Macalintal and family of Victoria, Oriental Mindoro, Special Citation for Persons with Disabilities (endorsed by the National Council on Disability Affairs) - Gonzales family, Special Citation for Children (endorsed by Children’s Hour) - Manalaysay family, and Special Citation for Education (endorsed by National Book Store) - Villa-Wilcox family. The top six JFVA winners each received a cash prize of P100,000 (tax-free), a trophy designed by renowned brass sculptor and Ten Outstanding Young Men (TOYM) awardee Michael Cacnio, P10,000 worth of Jollibee gift certificates, and a Sony home theater. The awardees of the special citations each received P25,000 cash, a plaque, and P3,000 worth of Jollibee gift certificates. 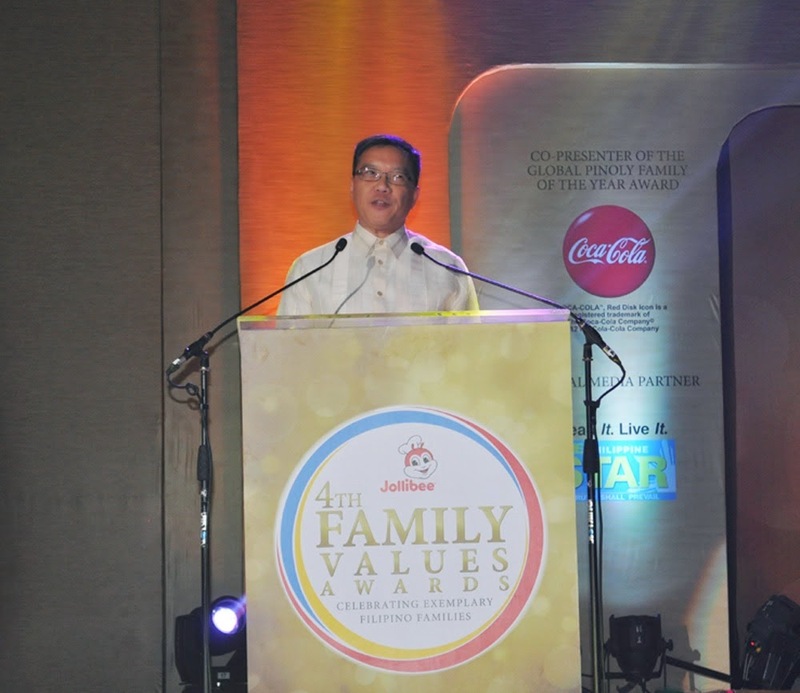 “The Jollibee Family Values Awards is part of our continued commitment to celebrate and champion the values that unite the Filipino family," said Jollibee Philippines President Joseph Tanbuntiong. "It is very rewarding to meet more and more families who serve as beacons of light, and share their extraordinary stories to other Filipinos." This year’s JFVA received a record 1,732 entries worldwide, the highest since the campaign started in 2011. From this pool of entries, the top 15 families were shortlisted and deliberated upon by the 2014 JFVA Board of Judges. The 2014 JFVA Board of Judges was composed of Ombudsman Conchita Carpio Morales, Department of Social Welfare and Development Secretary Dinky Soliman (co-chairpersons), Jollibee Group Foundation President Grace Tan Caktiong, Overseas Workers Welfare Administration Director Carmelina Velasquez, Gawad Kalinga founder Tony Meloto, Center for Migrant Advocacy Philippines Executive Director Ellene Sana, parenting and relationship consultant Maribel Sison-Dionisio, Coca-Cola Export Corporation’s Director for Public Affairs and Communications Atty. Adel Tamano, ANC host Edric Mendoza, Jollibee Philippines’ Vice President for Marketing Harvey Ong and Assistant Vice President for Human Resources Ruth Angeles. 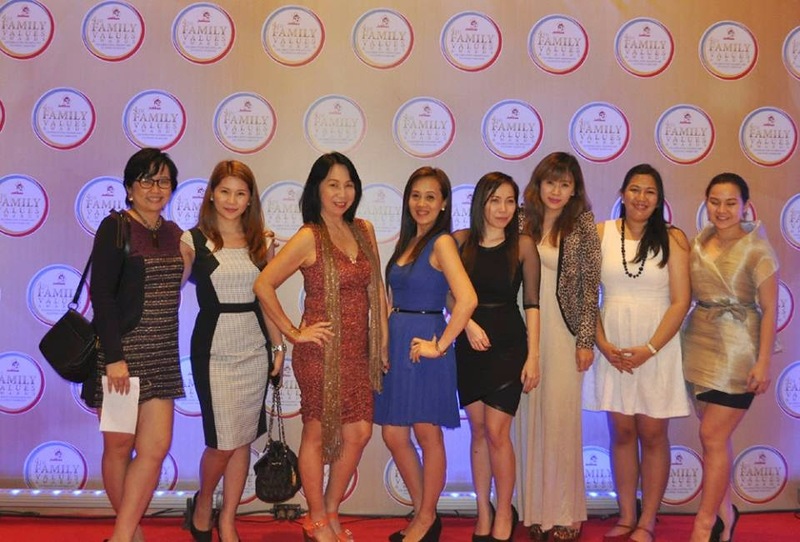 It was a delight to see everyone gathered for this special event where we celebrated Pinoy family values. I really hope that even more families will be encouraged to create more meaningful family moments together and touch the lives of those around them. 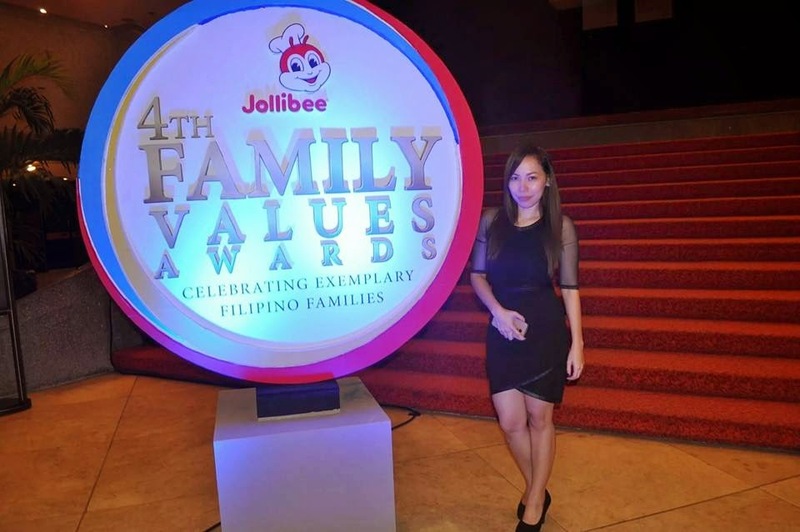 The 4th Jollibee Family Values Awards was also supported by Coca-Cola Philippines, Cebu Pacific, Holiday Inn and Crowne Plaza, Sony, Ford Philippines, National Book Store, Maynilad, and Fun Ranch with official media partner, Philippine Star. Let's celebrate the genuine and irreplaceable joy of togetherness of the Filipino family every single day. Have a great week ahead, lovelies!